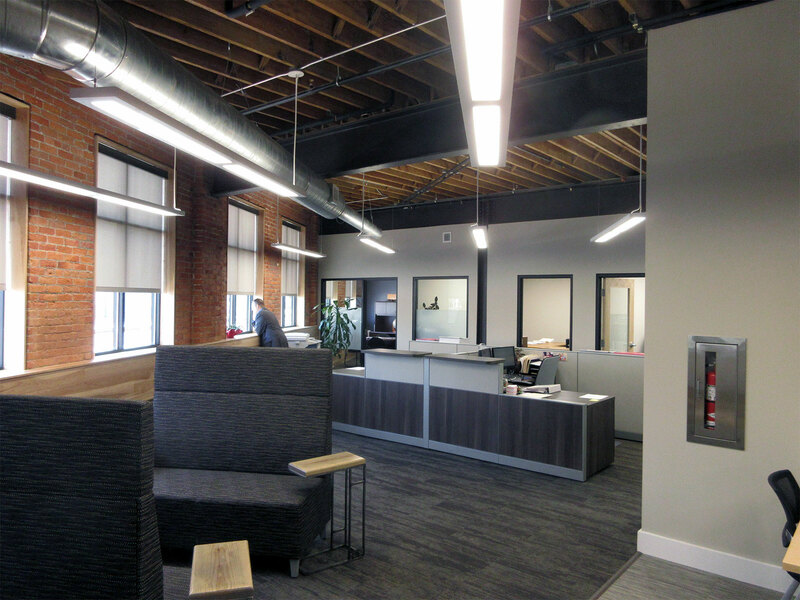 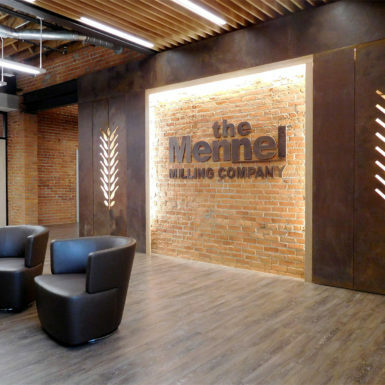 Thomas Porter Architects along with the Mennel Milling Company renovated this existing building, breathing new life into a turn of the century industrial warehouse. 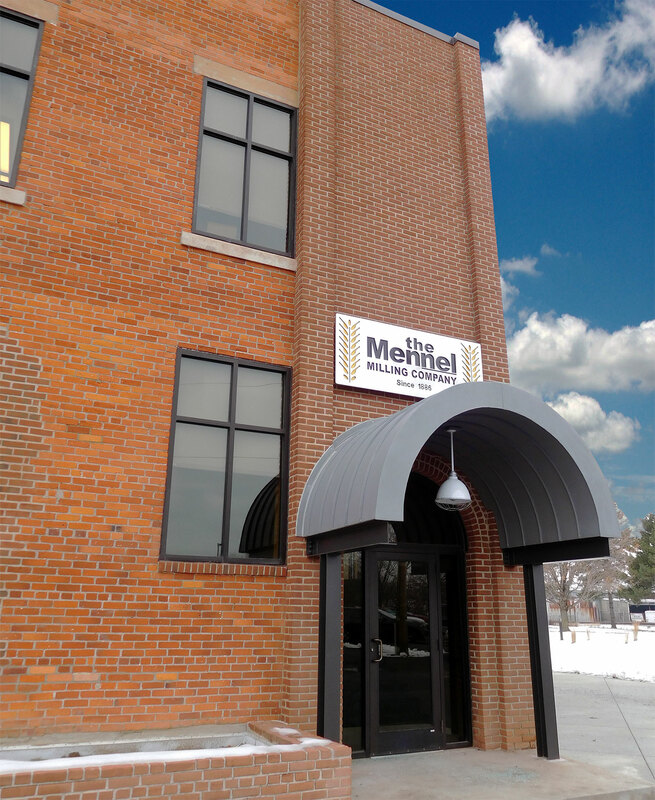 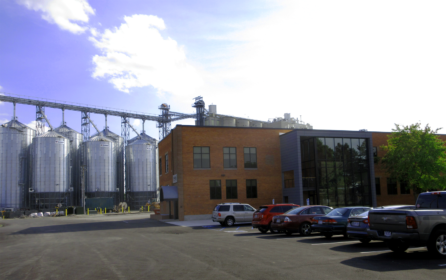 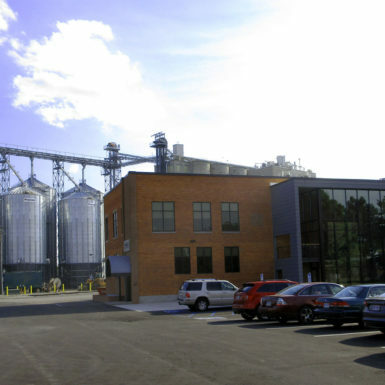 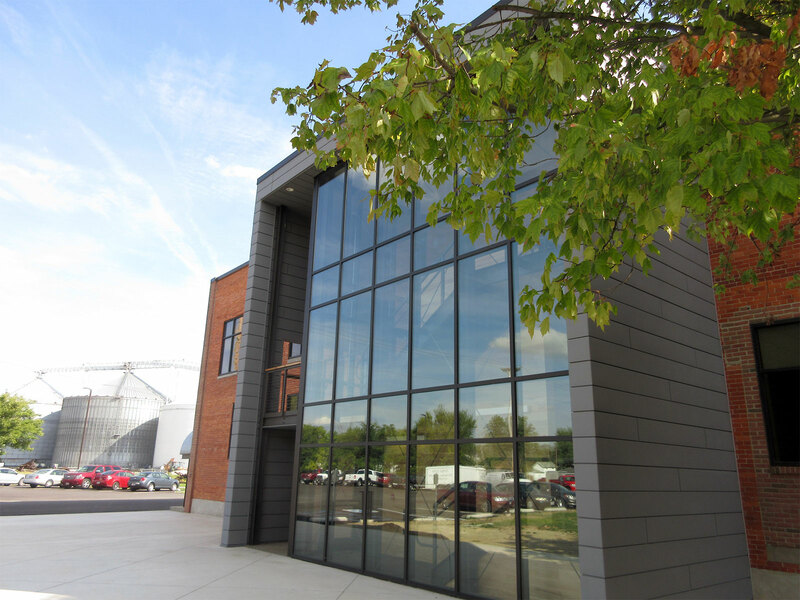 The corporate headquarters site, located adjacent to the company’s grain towers, is a key asset to the company’s functionality, giving direct views and access to its milling operations. 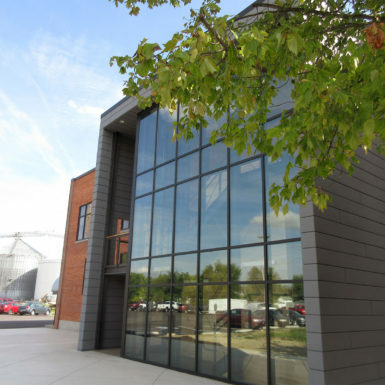 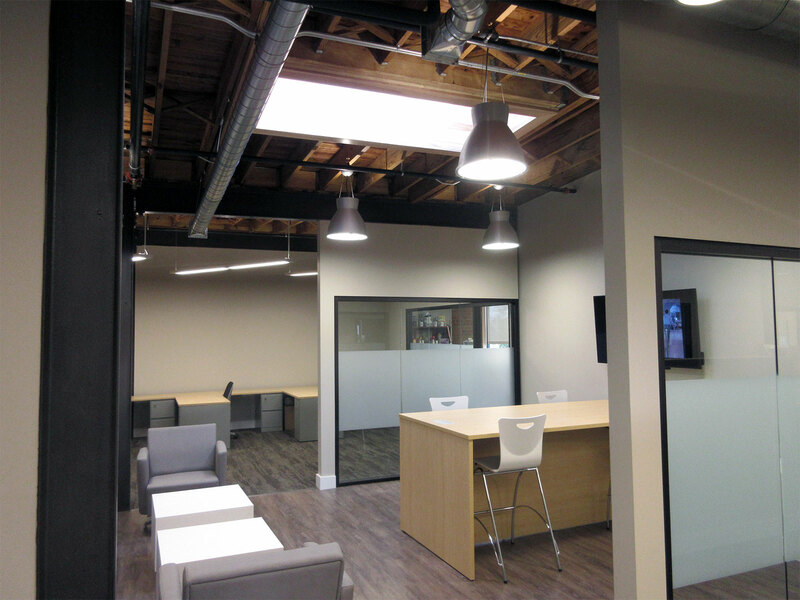 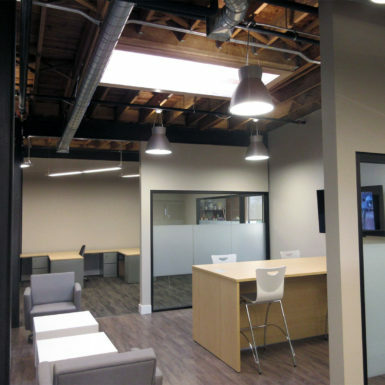 The two story, 22,000 square foot building features a mix of both traditional and open office spaces strategically positioned to maximize the company specific workflow. 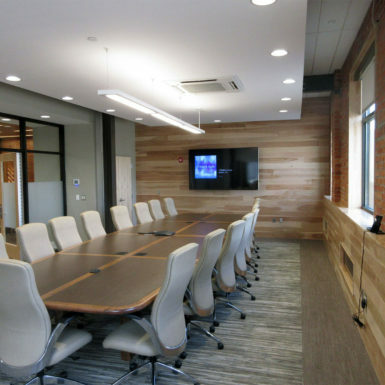 Each building level is provided with several “Huddle” spaces for general use while each department was given their own individualized group spaces, providing a hierarchy of team collaboration to fit their growing needs. 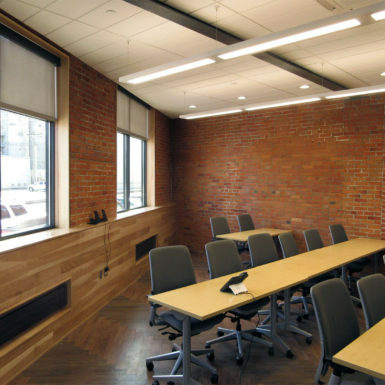 The previously renovated building contained outdated and battered interiors while the building shell maintained its rustic “good bones” character. 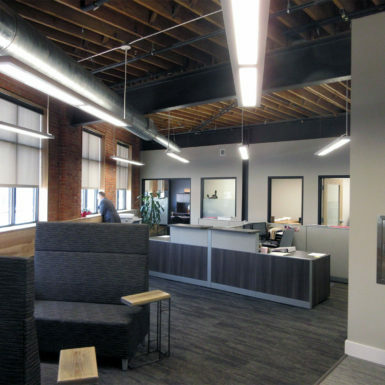 This facet along with the location made the building a perfect candidate for adaptive reuse. 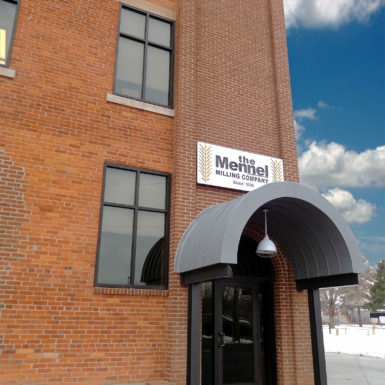 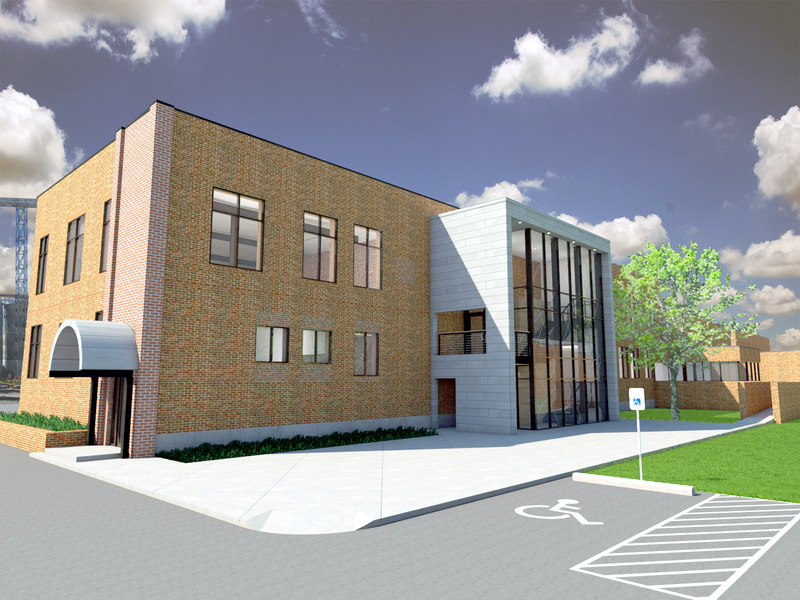 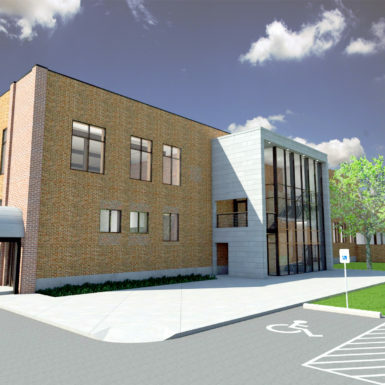 The building envelope went through extensive repairs and replacement including a new roof, skylights, window and door replacement, as well as extensive masonry cleaning, sealing, and repair. 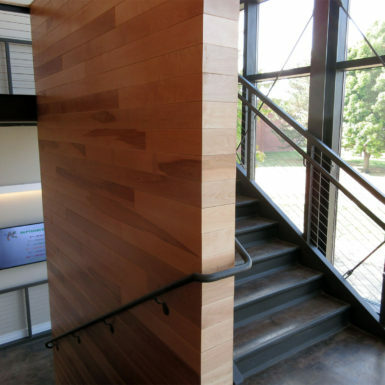 Several different high-pressure blasting methods were utilized for both the interior and exterior to remove unwanted debris and paint. 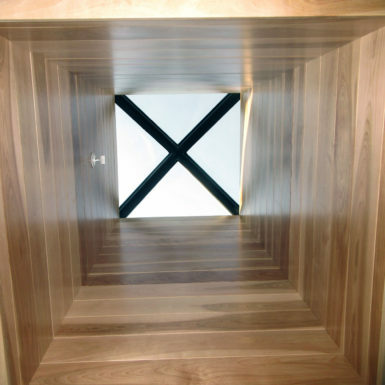 As a result, the newly cleaned natural materials preserved the original character of the building. 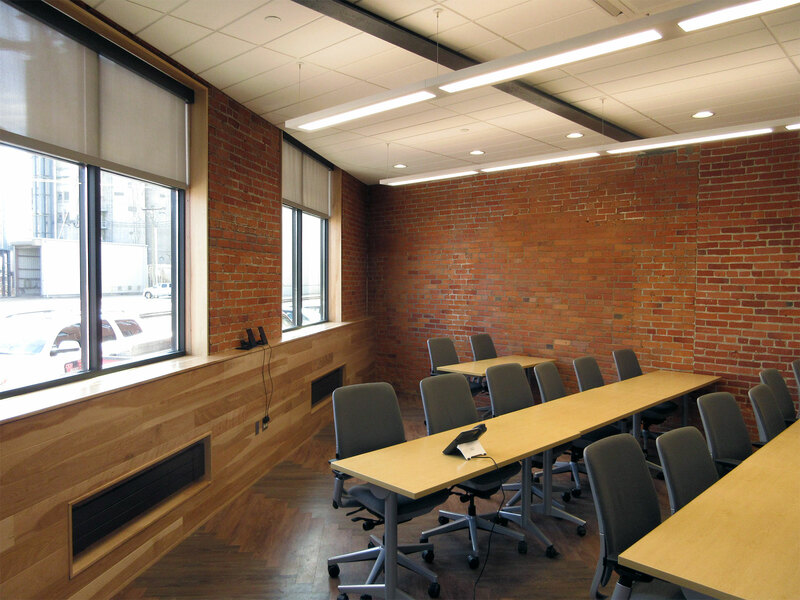 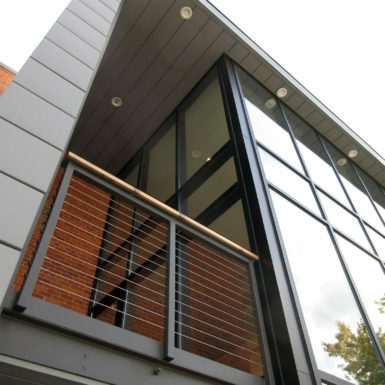 While the original brick, steel, and wood building materials were preserved as much as possible, a new material pallet was selected to blend existing raw finishes with a new contemporary character. 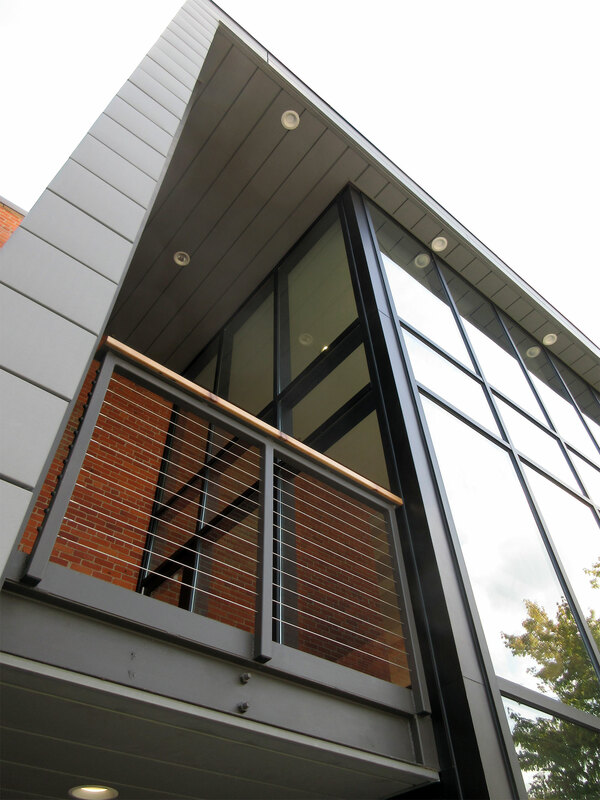 The new stair addition is clad with a zinc rain screen to complement the company’s metal grain towers on the adjacent property. 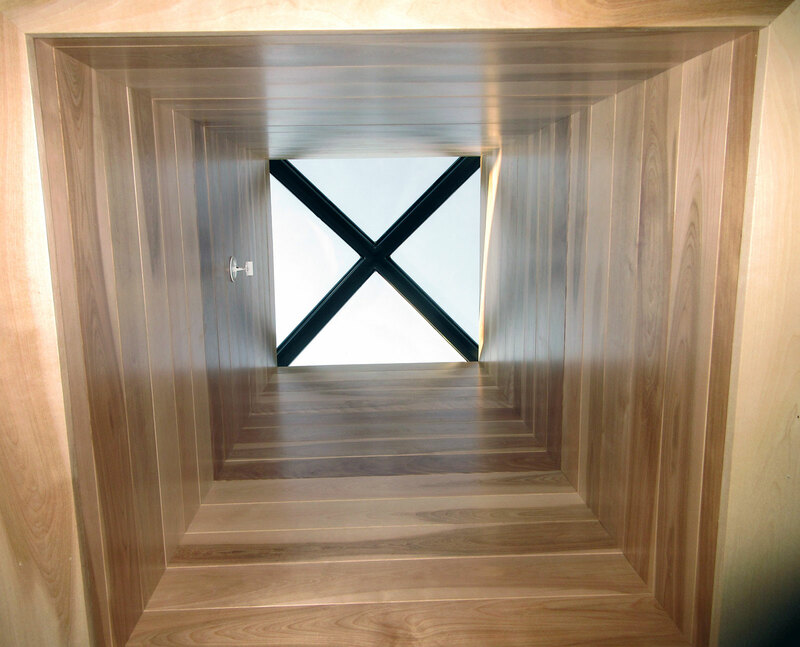 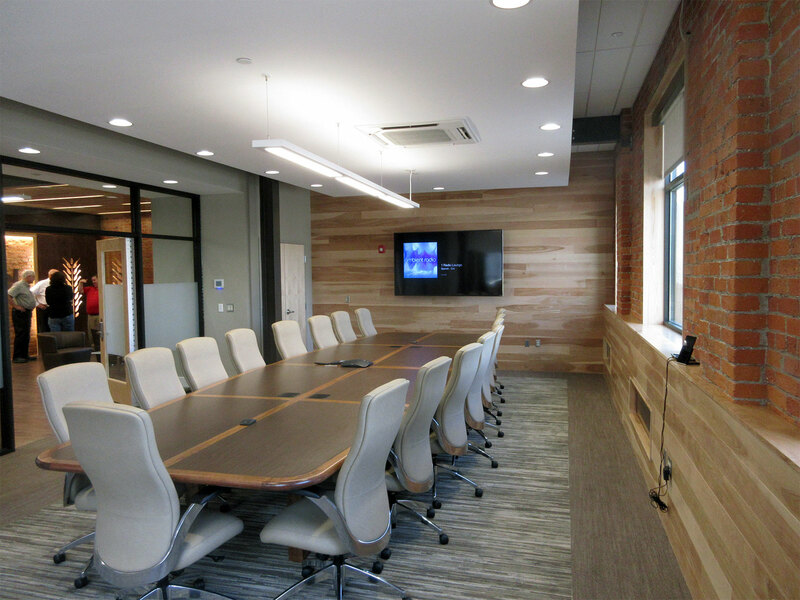 Natural birch finishes were specified for all new wood products due to its bold grain patterns. 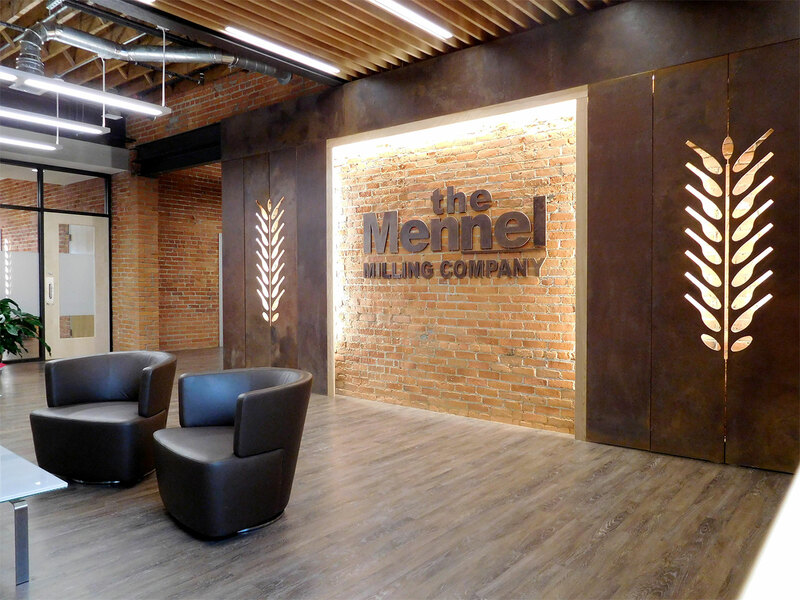 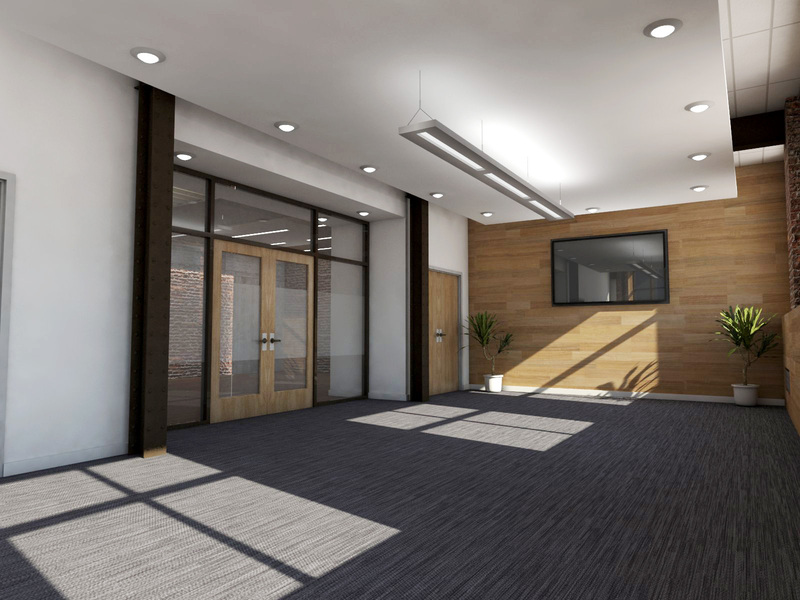 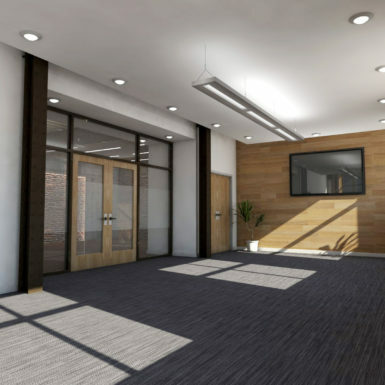 Providing a level floor surface for the office space required existing 2’x10’ steel floor plates to be removed from the building, but these steel plates were later introduced back into the project and repurposed as the main feature wall in the entry lobby. 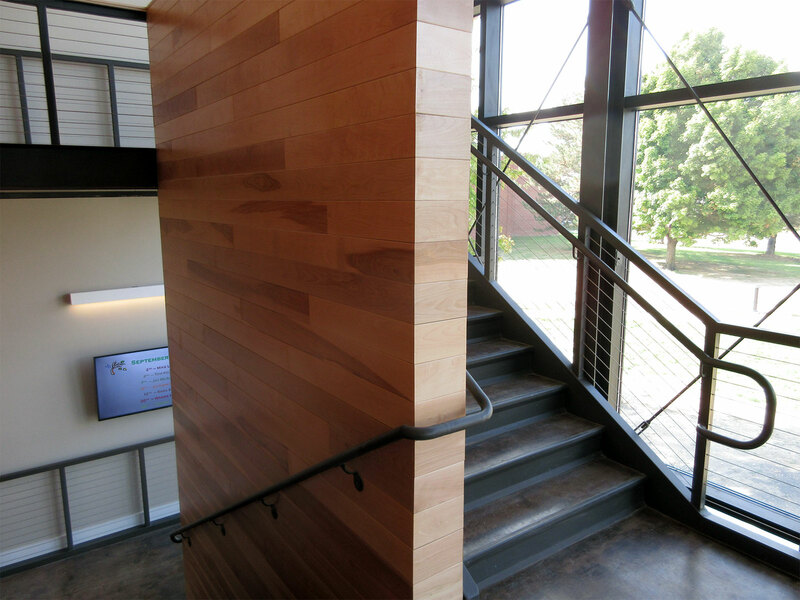 This new stair also provides a new separate staff entry and a new outdoor plaza for gatherings flanked by a fully landscaped lawn area.